If you're reading this right now, chances are you're not going on the road this summer. And maybe you really, really want to. Maybe you had planned to. Maybe you even went to a camp or two and you were all set to be on the bus this summer. But life interfered and you realized you really needed to work or take summer school instead. Maybe you didn't make the cut and decided not to pursue marching elsewhere. And now that the season is upon us, you're sitting at home, wishing desperately to be on any bus, anywhere, playing any instrument – anything to be in a uniform in June, rather than sitting at home working or studying. But never fear, my friends, all is not lost! If you've found yourself released from the financial or GPA-related predicaments that cut short your drum corps dream this year, you may still be able to find yourself membership in a group. Many lower-division corps will continue to seek members into the early season in order to fill that last hole or two. Other corps will lose members either due to injury (a sad situation we wish on absolutely no one) or to drop-outs. Most Div. I corps have alternates for just such a situation, but every once in awhile a group will find itself with a hole and no candidates to fill it. So how, you ask, do you go about getting yourself into one of these scenarios? The first opportunity is easier to seize, certainly. Just pick some corps, call, and ask if they have any openings. You might check out the various message boards at some of the online drum corps communities, or the corps' Web sites, since often the corps management will put up a post detailing the corps' membership needs. Don't feel nervous or embarrassed about calling. The worst they can say is "no," and there's a decent chance that even if that corps doesn't need you, they'll know who might. Do remember: beggars can't be choosers in situations like these, so don't turn up your nose at the offer of a spot. The other situation is much more difficult to take advantage of. The easiest way to nab a suddenly-opened spot in a Div. I corps is simply to be known to someone on the staff. If you were one of the last people to not receive a spot, for example, or if you marched with that corps last year and chose not to march this year, you'll be high on the list of people to be offered a position that opens up. What if that's not you? Then take advantage of any contacts you have. If you have a friend in a given corps, let them know that you're now able to march and that you're interested in joining should a hole open up. If there's a drum corps show in your area, go check out a rehearsal and talk to the staff afterward; if they don't need your help, again, they might know who does. You can use the same approach in the lot after the show. Frequently when a corps has a sudden opening, a staff member will simply talk to the band director of the host school to get recommendations for kids to fill those holes, so if you have an interest, let everyone who might possible be able to help you out know about it. Someone can hook you up with the right people. You could go so far as e-mailing, calling, or even sending a tape in to a corps, but the personal contact is always best, if at all possible (desperation not being an attractive emotion under any circumstances). Certain types of holes, namely euphonium, contra, and male guard members, will always be tougher for corps to fill, so you may have an advantage if you do one of those things. Also, if you're an exceptionally quick learner and you have great marching technique, a corps may want you to fill a hole for an instrument you don't play. I should now add a few caveats. Number one, if you quit a corps because you needed to stay in school, and you still need to stay in school – then stay in school! Likewise, if you needed to work and you haven't suddenly won the lottery, then stay home and work. Your life problems will not disappear simply because you decide to ignore them for a couple of months in favor of taking a tour of the country's high school football fields. Second, be prepared to be able to pay for (sometimes only half) of tour fees immediately. At the least, know exactly when you will be able to pay them, and communicate that to the corps director. Don't necessarily expect a discount on the tour fees just because you've missed part of the season. Third, be sure you have all the necessary paperwork before you get on the bus and leave town. For most corps, this includes a copy of the birth certificate, insurance information, medical background (and release for underage members), and emergency contact information. Opportunities to go on tour often arise quite suddenly, requiring you to get ready to leave in a matter of mere hours. This paperwork is quite essential, so make sure if nothing else goes with you, it does. Make sure your parents likewise get a copy of the corps' contact information in case they need to get in touch with corps management later in the season. Fourth, and perhaps most importantly, if you're thinking you'll be able to just hop on tour with a corps, take a highly realistic look at your own skills set. If you haven't picked up your horn since January, it's not likely that you'll be able to help a corps out much. People who join tour late, miss out on all the technical development, physical development, and learning time that occurs in the preseason and spring training. In other words, if you're going to do drum corps this way, you need to be a very quick learner and prepared to work very hard to catch up. If you're just not a very good player, and you haven't gotten that much better since the fall, you're probably not going to be able to hang with folks that have been working all winter and spring. Also, if you have a physical condition that requires a lot of maintenance, such as chronic shin splints or a bum knee, hopping in halfway through tour is probably not the best idea. Again, be realistic about how well you'll do in a setting that requires being adaptable and picking up on things quickly. Almost every corps has someone on the field on Finals night that didn't start out at the December rehearsal camp and spring training, and if you truly have the passion, ability, and financial assets to join a corps, that person could be you come this August. As with all things, the worst that could happen is that it doesn't work out and you end up following your original summer game plan. Or maybe you will find membership, and have the time of your life on the road this summer. You won't know which it is until you give it a shot! Emily Tannert is a music education/percussion performance major at Louisiana State University in Baton Rouge, La., and holds a journalism degree from Northwestern University. 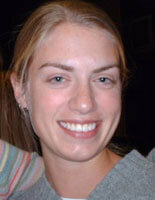 Emily graduated from the Glassmen in 2003 and was assistant tour manager for the corps in 2004 and 2005. You can contact Emily at emily@imoses.com.